This twist handle white paper bag is perfect for boutiques, parties, tradeshows and more! 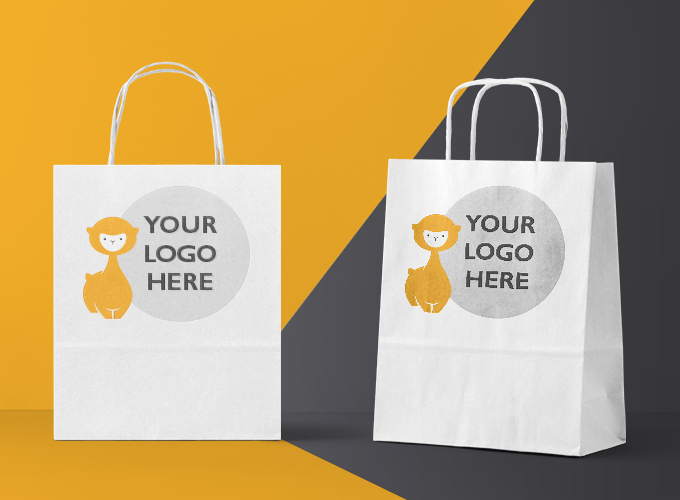 Using Pre-made paper carrier bags with reinforced twist handles, we can offer digital overprinting in 1 colour print (Black only) or 4 colour print to either 1 side or both. Our small Kraft bags will fit A4 comfortably. For an artwork guide to see the available print areas please contact us at al@alpacka.co.uk.